Weight loss is no easy task, which is why finding the right diet is so important. Knowing more about the Golo diet will help you determine if this way of eating can help you meet weight loss goals -- and if the diet is safe and nutritious. The Golo diet is a reduced-calorie meal plan, allowing you to eat a variety of healthy foods while sticking within a 1,300 to 1,800 calorie daily allotment. In addition to cutting calories, you'll be encouraged to take an herbal supplement called Release. Creators of the diet say combining the right foods with this supplement helps optimize insulin performance and glucose levels, which burns excess fat and minimizes lean muscle loss. The Golo diet website claims you should expect to shed about 1 to 2 pounds per week. When choosing the Golo diet for weight loss, you'll focus on whole foods -- fruit, vegetables, whole grains, meats, eggs, healthy fats -- and even real butter -- will be on the menu. Creators of the Golo diet claim it can accommodate special dietary needs, such as vegetarian and vegan meal plans, as you can pick the foods you want to eat. The Golo Diet encourages you to take its Release herbal supplement, which is a plant-based product designed to enhance fat loss and minimize lean mass losses. However, the Golo diet website warns to use caution and consult with your doctor if you're taking oral diabetes medications -- as the Release supplement is designed to help lower blood sugar levels -- and avoid taking Release if you're pregnant or breastfeeding. Does the Release supplement really work for better blood sugar control and weight loss? Ingredients in the supplement include zinc, chromium, magnesium, banaba leaf extract, rhodiola root extract, inotisol, barberry extract, gardenia extract, salacia bark extract, and apple fruit extract. Some of these ingredients -- such as barberry and inulin -- do show anti-diabetic properties (aid in blood sugar) and/or weight control -- according to a 2013 review published in Evidence-Based Complementary and Alternative Medicine. A 2016 study says inulin supplementation shows promise for type 2 diabetes prevention, but more research is needed. 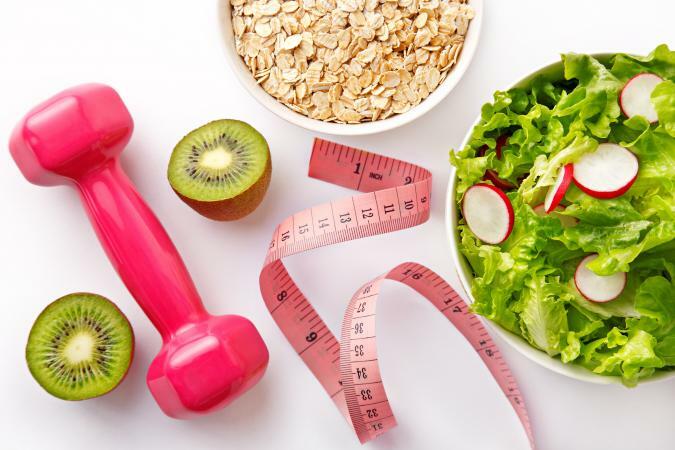 However, Jessica Crandall, a registered dietitian and Academy of Nutrition and Dietetics spokesperson, told Women's Health Magazine that any diet plan requiring pills or supplements to shed pounds should be viewed with skepticism, as you can lose weight (and enhance blood sugar control) simply by eating right and exercising regularly. The cost of signing up for the Golo diet depends on which plan you buy. The one month plan will cost you about $50, and comes with a 30-day supply of Release supplement. A two-month Golo plan costs you $80, and a three-month plan is about $100 (this includes a 90-day supply of Release supplement). Potential pros and cons exist when you choose the Golo diet for weight loss. Losing weight at a pace of 1 to 2 pounds per week is a safe rate, and eating 1,300 to 1,800 calories daily is a good recommendation (and doesn't require medical supervision). Eating whole foods like fruit, veggies, and whole grains is a healthy suggestion for any safe and effective weight loss plan. However, the diet claims to help control insulin and glucose levels by pairing the right foods with an herbal supplement. If you're overweight or obese, weight loss alone should aid in blood sugar control without using dietary supplements. Should I Follow the Golo Diet? You should never take dietary supplements (especially if you're taking medications, are pregnant, or are breastfeeding) without first checking in with your doctor. Even without taking herbal supplements, reducing your energy intake to 1,300 to 1,800 calories daily by eating whole foods like fruits, veggies and whole grains is a safe, healthy way to shed pounds. If you're not up for spending money on costly meal plans and supplements, you do have other options. Consider the Dietary Guidelines for Americans 2020 free sample Mediterranean-style meal plans at different calorie levels (key in on 1,200 to 1,800 calorie meal plans), and skip expensive herbal supplements. Click here for a list of free 1,500-calorie healthy menus.